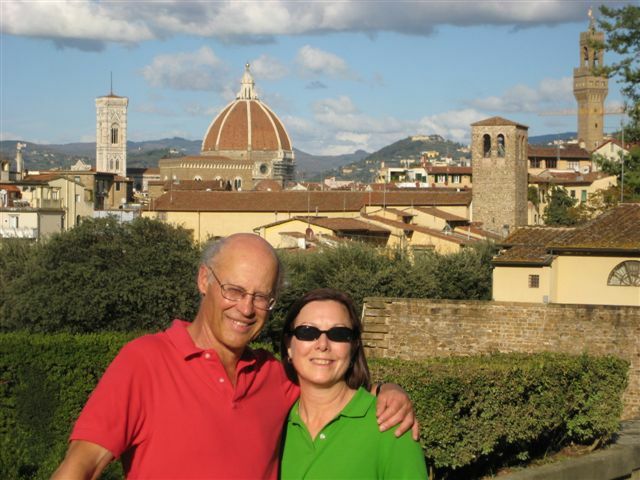 Carrie’s study abroad program in Florence, Italy, had the students stay with local people. She and her roommate were lucky enough to stay with Filo who is reputed to be the best cook of all of the house “moms”. 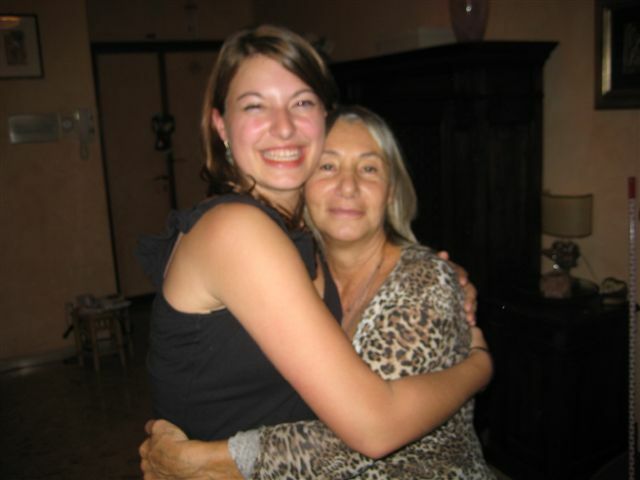 Filo speaks no English, which was fortunate because Carrie became quite fluent in Italian. Carrie asked Filo for some of her favorite recipes. Filo wrote them out…in Italian. I had Carrie translate them shortly after she got home. Last night I realized it was time to fix dinner and started to wonder what we had on hand to eat. Remembering that we had some cauliflower that really needed to be eaten, I decided to make Filo’s Pasta and Cauliflower. I’m not really sure if my version was exactly like Filo’s. Her cauliflower may have stayed in pieces that you could identify. My cauliflower cooked down into a delicious sauce. I thought it tasted great. It would be a good way to sneak cauliflower into the menu. 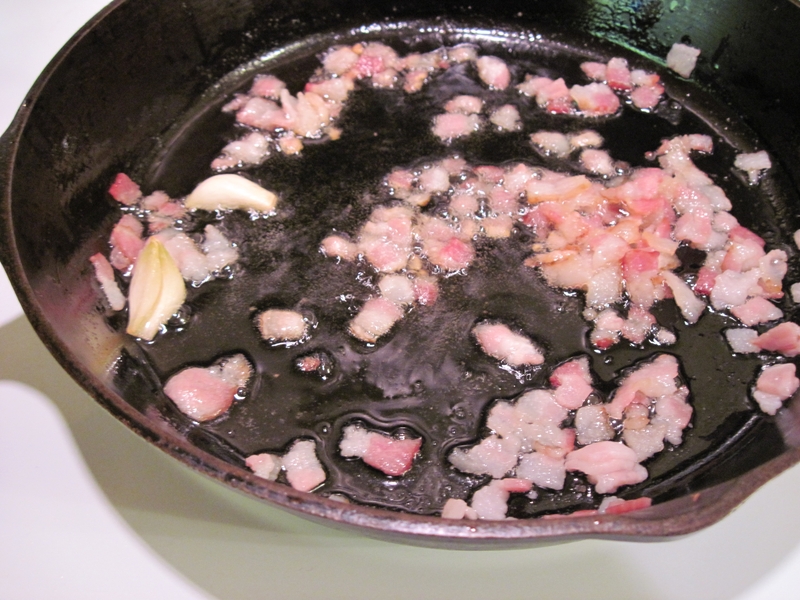 Heat the oil in a large skillet. Add the bacon and the garlic. Remove the garlic when it is “blonde”. 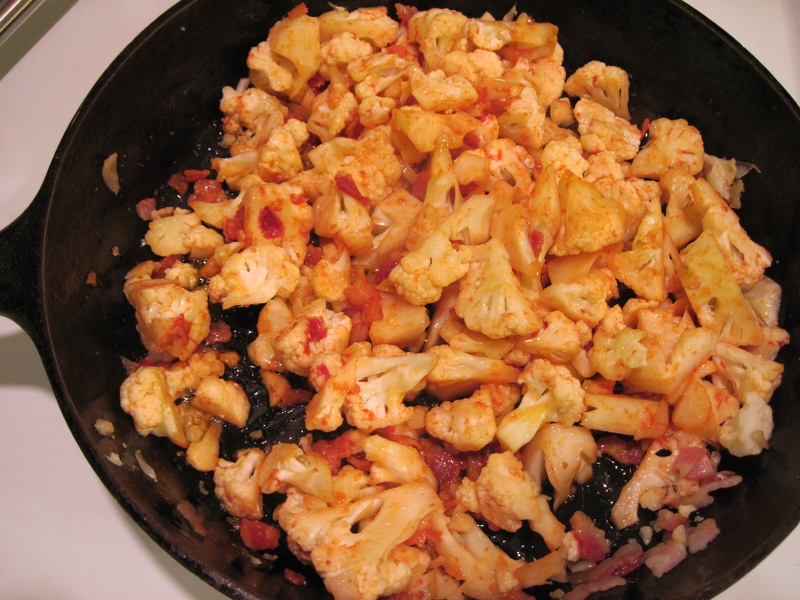 Wash and cut the cauliflower into pieces and then add it and the tomato paste to the skillet. Cover the pan and leave it to simmer over medium heat, stirring from time to time, until the cauliflower is tender. 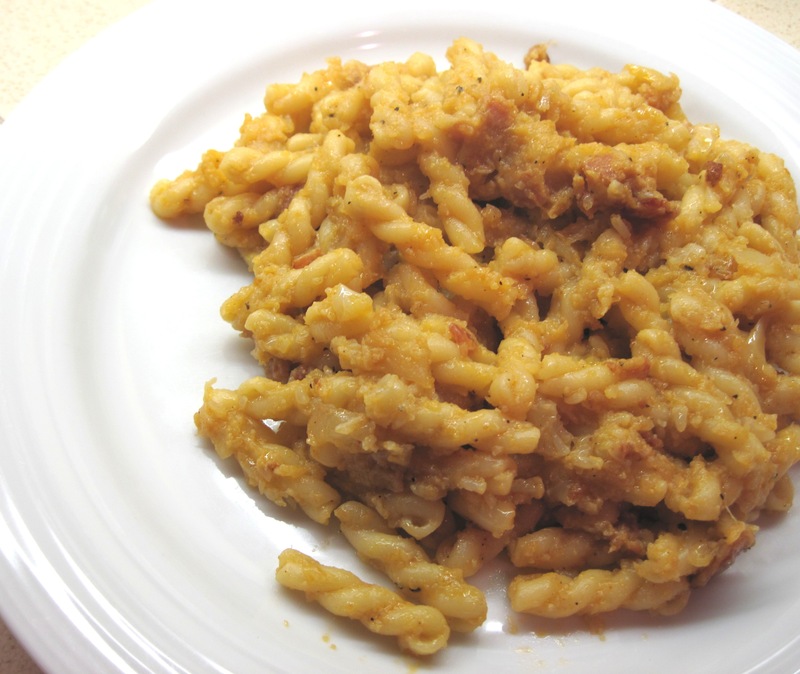 While the cauliflower is simmering, cook the pasta. When it’s done, reserve a bit of the pasta water and then drain. Add the pasta to the cauliflower. Add some of the pasta water if it seems too dry. The sauce should not be too soupy. Season to taste with salt and pepper and finish it off with the parsley. hers cooked down to a delicious sauce too!! looks just like filos!! Good to know, Carrie. Thanks! I’ll definitely be making this again. How can something so simple be so yummy?